In his new book, Jorn Lyseggen argues that internal data – an organisation’s operational data, transactional records and customer metrics – are yesterday’s news. 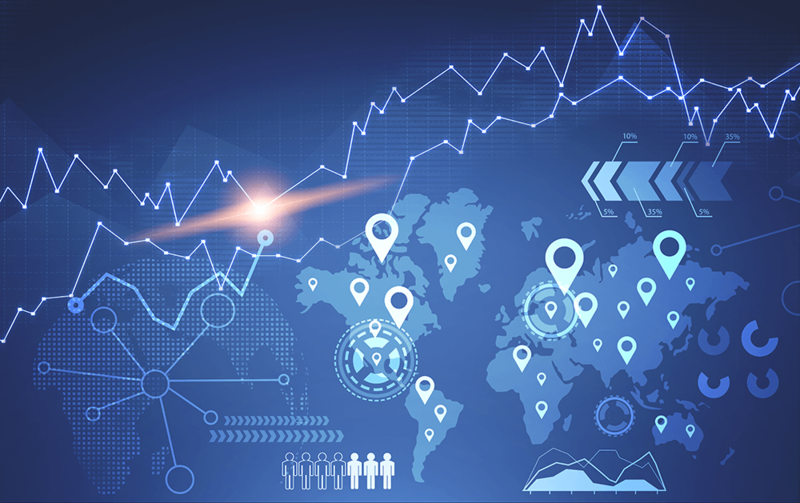 Amidst the fast-paced change of digital transformation and the world at large, external data is likely to hold the insights you need to understand your environment and navigate the market of tomorrow. In ‘Outside Insight: Navigating a World Drowning In Data’ Lyseggen makes the case that by only looking inwards, you will likely end up with “lagging” insights. While transactional data is great for giving a picture of what you sold last week, last month, or last year, insights about what you will sell tomorrow could come from a myriad of external sources. What your competition is doing, forward-looking consumer trends and demographic data. A glass window manufacturer tracking reported crimes geographically in order to understand where broken glass needs to be replaced most quickly. A European government agency which monitors online chat to unearth instances of insider dealing and fraudulent financial activity. Researchers at the University of Oslo who tracked social media comments to measure the speed at which a new spelling of the word “ketchup” was adopted by Norwegians. A New York Police Department special unit dedicated to Facebook tracked the killers of a teenager using the social network, helping them to solve a crime where there had been no witnesses. Speaking to me about the experiences which had gone into writing the book, Lyseggen told me “My perspective is that most executives today don’t really use external data in a systematic manner – its more anecdotal. This stands in contrast to the internal, company data which traditionally powers much business intelligence and analytics. Companies spend a lot of time and effort mining their internal infrastructure and operations. Making the switch to a focus on external data means it’s no longer only about you. By monitoring and analysing the disparate data sources available thanks to our always-online and connected world, it’s possible for an organisation to build an awareness of the environment around them, and in which they operate. While a digital twin – an online simulation of your business which can be used to experiment and measure the effect of micro-changes across a number of variables, is often a very useful tool, without a digital world for it to operate in, its performance will be out of touch with reality. Building an understanding of the external forces which affect a business means models and simulations of your own processes will yield more accurate insights. “That’s why we say companies need to move from being introverts to extroverts – mining internal data alone is a navel-gazing activity,” Lyseggen says. Another example he gives is European private equity firm EQT. They have developed a platform known as Mother Brain which is used to monitor the growth, development, and excitement around startup companies, to see which would be good bets for investment. Although the exact details of what data is analysed is not public, it is likely that it includes a combination of web traffic, online job postings, press mentions and social media chatter – all of which is publicly available data which can be found by anyone who knows where to look. It’s also all information which can clearly be very useful to anyone wanting to evaluate or rate the potential investment into a business. Of course, it’s not always as straightforward as it sounds – much of the data may be unstructured, noisy and in need of thorough cleansing and preparation before it is ready to yield working insights. Additionally, data is often siloed and getting access to what’s needed can be tricky. “To systematically filter through this information and extract what you’re looking for isn’t always trivial”, Lyseggen says. In a world that’s certainly drowning in data, understanding where you’re likely to find value and where you are just re-treading old ground and uncovering mistakes which have already been made, or opportunities which have been missed, is a challenge that will have to be overcome. Learning to look outwards instead of inwards may very well be an important first step for many in doing this.